I travel a lot - sitting, waiting and riding on planes. 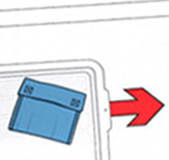 A recurring problem is accessing stuff in flight, keeping stuff handy, and storing it conveniently. 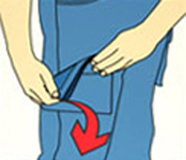 Normal pants pockets work great when standing, but not so great when seated - the pocket openings are hard to reach, the contents are hard to access, the plane armrest blocks the pocket, and stuff falls out of the pocket. 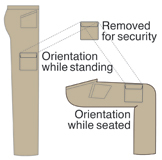 Pants pockets need to be accessed from the top when seated, be located on the pants leg in an easier to get to place, and be designed to more easily pass through security screening. 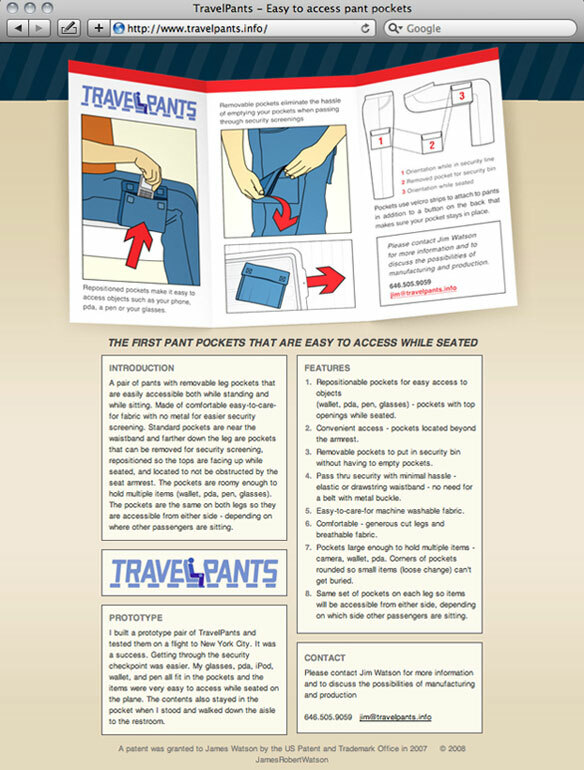 The first pair of pants with pockets that are easy to access while seated. 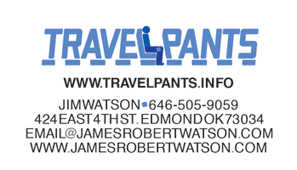 A pair of pants with removable cargo pockets that are easily accessible both while standing and while sitting. Repositionable pockets with top openings while seated (for easy access to wallet, phone, pen, glasses). 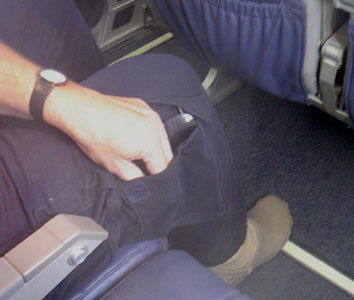 Convenient access - pockets located beyond the armrest. Removable pockets to put in security bin without having to empty pockets. No metal - elastic or drawstring waistband: pass thru security with minimal hassle. Comfortable - generous cut legs and breathable lightweight fabric. Pockets large enough to hold multiple items. Corners of pockets rounded so small items and loose change can't get buried. A button in the back of each pocket better secures the pocket to the pants leg - centered to work in either orientation - standing or sitting. Same set of pockets on each leg so items will be accessible from either side, depending on which side other passengers are sitting. 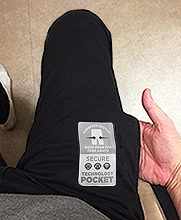 Standard pockets near the waistband for walking thru airport and convenience at check-in counter and when buying stuff in airport. I removed the pockets from one pair of sweat pants and glued them to another pair. 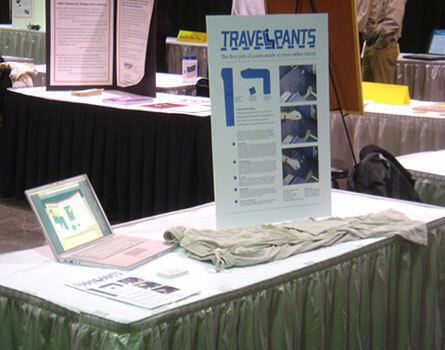 I tested it on a flight to New York City in July, 2005. It was a success. My glasses, pda, iPod, wallet, and pen all fit in the pockets and the items were very easy to access. The contents also stayed in the pocket when I stood and walked down the aisle to the restroom. Rendering of prototype, Info on garment tag, Business card. 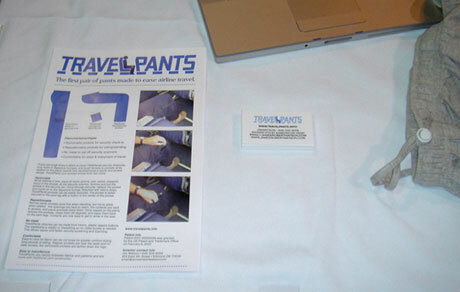 The mark conveys the unique benefit of the TravelPants (the accessible-while-seated leg pocket). To provide quick and easy recognition, the familiar android figure mimics the ones seen in airports, especially the Return to seat icon seen on airplanes. The lettering mimics the android figures and the plane seat with rounded corners and similar masses of form. The P represents the back of the seat in front of the passenger. The letterspacing helps convey the cramped conditions on a plane that make getting into a regular pocket more difficult. A combination of blues helps connect to business attitudes, conveys sky and flight, and emphasizes the pocket in the pants. 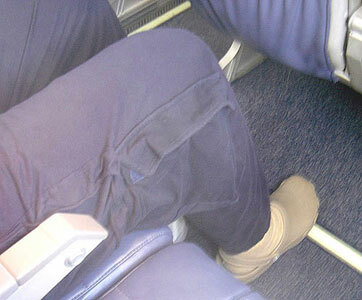 Designed by Bill Davis and Jennifer Zink, the concept related to the safety instruction card one gets on an airplane. The target audience would easily comprehend the connection. Note: the domain www.travelpants.info is no longer active. In the mid-seventies, I designed and had made some pants with pockets shaped like shown at left. Those pockets addressed the problem of keeping items in the pocket when seated (even today, with traditional pockets, my phone/pda often slides out of my pocket when I'm seated). I had a friend cut the fabric, sew, and build the pants. They looked a little weird, but the pockets were more effective and encompassing. Later, while flying, I had a tough time getting to items in my pants pockets. 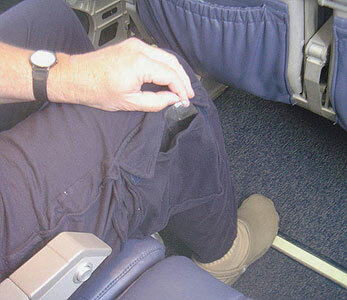 It was then that I realized the need for a new design of pockets for travel pants. 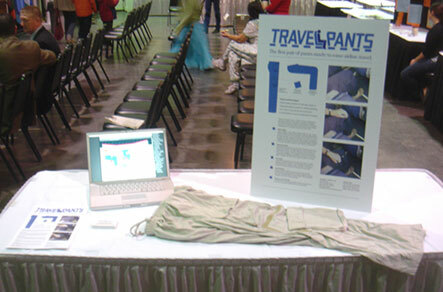 I wore a pair of the dark blue prototype pants to demonstrate to visitors to the table and the judges. The idea was awarded a check for $100. 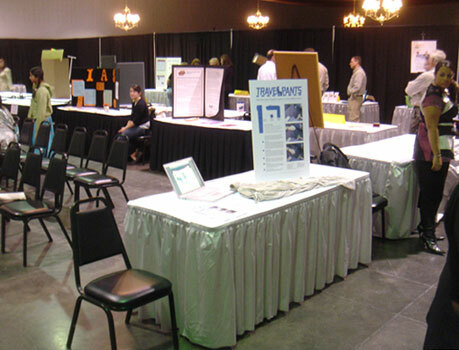 The fair at OSU was a lot of fun - I saw some other great products and met some neat inventive people. This pair of cargo pants at Eddie Bauer is quite similar but the side pocket is still not quite as convenient as it could be. • Features a zippered tech pocket for secure storage.